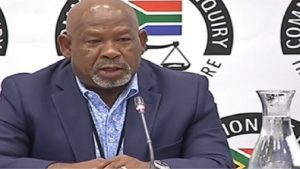 The Commission of Inquiry into State Capture has adjourned for the weekend and will resume on Monday morning when Eskom board chairperson, Jabu Mabuza, will return to the stand. Earlier, Mabuza said the power utility’s former executive, Sean Maritz, was suspended after signing documentation that committed Eskom to a pre-payment of R340 million to a Chinese asset management company called Huarong. Mabuza says Maritz is the only person the new board suspended since its appointment in January 2018. Mabuza says Maritz subsequently resigned the following month – before his scheduled disciplinary hearing which was set for March 2018. Mabuza told the commission in Parktown, Johannesburg, that he had received letters of demand from Haurong but said that Eskom would neither pay any money nor take any loan. The post State Capture Inquiry to resume on Monday appeared first on SABC News – Breaking news, special reports, world, business, sport coverage of all South African current events. Africa's news leader..